It’s only gotten worse since moving to an island. There are piles and piles of magazines and books in my rooms because I just can’t seem to pass up any printed thing on celebrating nature and living off the land. 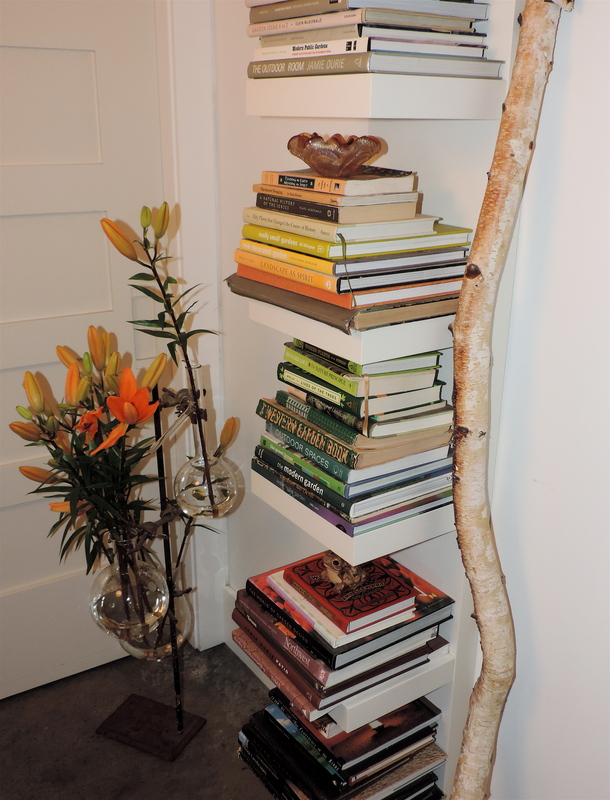 Looking for tips on how to live more simply, or with less, does not include the purging of my library. The number of magazines I buy is staggering. (Too many years of publishing to rid myself of the addiction!) I’d like to believe that I’ve read most of my stash, but there’s no doubt l will be adding more before I get through what I already have. After all this reading (I like to call it my research), I can’t imagine why it took me so long to realize that I am living off the land. 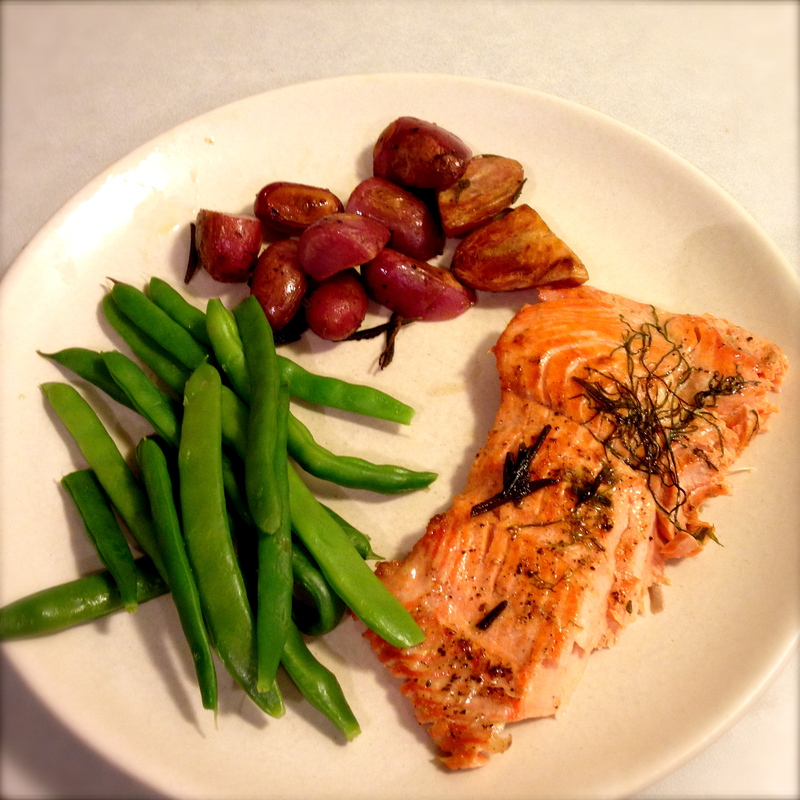 The proof was on our Tuesday dinner plates: king salmon (we caught a couple days earlier) and potatoes and beans just picked from my garden. Grow what you eat, eating locally. We are living the life. As for the living more simply, I may be heading towards that but it’s a slow process. So to add to my pile of Modern Farmer, Kinfolk, Pure Green, Taproot, Dwell, Sunset, Frankie, Tricycle, Hole & Corner … I just had to get the 832-page September issue of Vogue. Apparently, my kind of simple living requires a lot of effort and a good amount of time.